I include the following review that was posted in Critics at Large, which I wrote on the novels of Sara Paretsky, is relevant to this website because her latest, Critical Mass, links the present to the prewar years in Vienna and the early Cold War, subjects that are explored in That Line of Darkness: The Gothic from Lenin to bin Laden, (Encompass Editions, 2013). 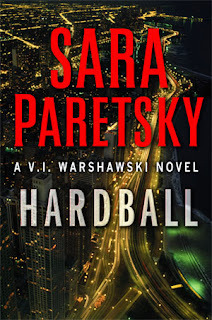 Anyone primarily interested in a whodunit crime novel may not find it in the writer Sara Paretsky. In her long-standing series that made its debut in 1982 with Indemnity Only introducing the female protagonist V. I. Warshawski, dead bodies do appear regularly but the identity of the perpetrator is rarely the novels’ most compelling feature.When a murder does occur early, for example in Body Work (2010) and the accused is an Iraqi veteran suffering from post-traumatic stress after the rest of his unit was killed in a firefight, Warshawski is also hired by the young man’s parents to prove his innocence. The tough, sharp-tongued but compassionate private sleuth is frequently engaged by clients to investigate a person’s disappearance. The impression from reading these novels is that the resolution of the mystery constitutes the most inner circle, one that is surrounded by a series of other circles including Warshawski’s personal life and her commitment to address social injustices. Finally, and, most interestingly, is the historical circle in which she connects the present to the past, which is found in a number of Paretsky’s later novels, especially her most recent, Critical Mass (G. P. Putnam’s Sons, 2013). The historical arc, which provides greater depth and resonance, should not surprise since she has a PhD in history from the University of Chicago. For those unacquainted with V.I. Warshawski (Vic to her friends), she grew up in a tough working-class neighbourhood in south Chicago. Her father was of Polish descent and was a highly respected cop in the Chicago police force while her mother, a refugee from Fascist Italy, was a singer with operatic aspirations. Both have already died before the series begins but their spirits haunt the mind and dreams of Warshawski throughout the books; rarely do they enter into the plots but their presence often inspires inner dialogue which either provides strength or helps Warshawski to make a decision. Unlike the male private detectives in much of American fiction, V. I. is not a loner. Although once briefly married to a prominent corporate lawyer—who occasionally makes an appearance—she has had a few lovers but her fear of intimacy and stubbornness has contributed to the relationships not enduring. She has a journalist friend and a supportive older neighbour who looks after her two dogs when she is busy and is happiest when he can assist her in her work. But her most important connection is with her mother surrogate, Charlotte (Lotty) Herschel, a surgeon and activist who worked for an underground abortion movement before it was legalized and met V.I. when the latter was a student at the University of Chicago. Lotty not only attends to V. I.’s emotional needs and the physical injuries that she receives on a regular basis—she has been left for dead on more than one occasion—but she also serves as a link to the outer circles. Even though only one of her Warshawski novels, Blacklist (2003)is explicitly political as it cleverly links the effects of the Patriot Act to the HUAC hearings of the 1950’s, all of them are political in that they address issues for which Paretsky clearly wants to see changes to the status quo. Justice for the powerless and disenfranchised undergirds her oeuvre: political corruption and violence, both physical and emotional, toward females (Tunnel Vision 1994); how corporate America exploits the vulnerable for profit; or how powerful institutions resort to whatever means are necessary to ensure that certain secrets remain bottlenecked in the past. Bitter Medicine (1987) and Fire Sale (2005) have current resonance in that the former explores how prompt health care is denied to those who cannot pay and discriminates on the basis of race, and the latter reveals that even a family with medical insurance can be denied coverage to pay for a serious illness and how a multinational company does not allow sufficient hours of work so that immigrant employees can qualify for insurance. Body Work carries political heft as it examines the effects of outsourcing military functions to corporations when the scent of huge profits leads one of them to produce shoddy materials that endanger the lives of soldiers. Breakdown (2012) satirizes a Michele Bachmann-like character who is seeking office in the American Senate on an anti-evolution platform and an unctuous, ruthless television personality working at a Fox-like network that feeds the anti-immigrant fears of its viewers. 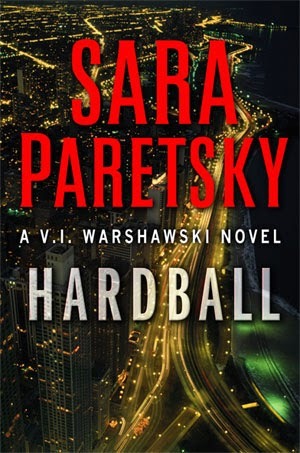 Paretsky reaches into that outer circle in perhaps her best and most autobiographical novel, Hardball (2009), when V. I. is hired to investigate the disappearance of an African-American male over forty years earlier that she connects to the killing of a young African-American female activist and her alleged assailant, a black man who was railroaded into confessing to a crime he did not commit. Though set in the present, the heart and soul of Hardball is rooted in the tumultuous summer of 1966 when Martin Luther King, Jr. faced visceral hatred from whites during his civil rights marches through Chicago’s Southwest Side that resulted in race riots. These events occurred at the same time as a nineteen-year-old Paretsky arrived in Chicago to help in a summer youth program educating children about civil rights, which she describes movingly in one of her essays in Writing in an Age of Silence (2007). In the process of unearthing a dirty chapter of the city’s past, Vic also uncovers a dark secret about her father, Tony. Photographic evidence and a hardball found in her father’s belongings painfully suggest to V. I. that he might have been involved or complicit in this blatant racial injustice. In the earlier Total Recall (2001) in which Paretsky links the issues of financial compensation for the descendants of slaves and Holocaust survivors and takes aim at the peddlers of the Recovered Memory Syndrome, she connects the present to the past through a troubled young man who is convinced he is a Holocaust survivor. Through the story of Lotty in the powerful epilogue and concluding chapter, we learn about her past and how her grandfather provided the funds that allowed the ten-year old Lottie and her brother to leave Vienna in 1939 through the Kindertransport. Lottie also reveals to Vic details about her difficult early years in London. In Age of Silence, Paretsky reveals the importance of the Holocaust to her own life by relating how her maternal grandmother escaped a pogrom in Eastern Europe by travelling in 1911 to America by herself as a thirteen-year-old. Paretsky ruefully notes that her grandmother might not have been granted entry had she arrived twenty-five years later when it became exceedingly difficult for Jewish refugees to be accepted into America. The plight of a specific Viennese Jewish physicist and the legacy of early nuclear fission research are the primary subjects of Critical Mass, her sixteenth Warshawski novel. At the outset of Critical Mass, Lottie has heard from Judy that her life is in danger. She is the drug-addled daughter of a childhood playmate, Kitty Saginor Binder, who also escaped Vienna on that Kindertransport that carried Lottie and her brother to safety. Lottie asks Vic to look into the matter and she in turn discovers that not only has Judy disappeared but so has her son, Martin, an exceedingly bright computer geek with few social skills, who works for a high-tech computer engineering company. What begins as a missing persons’ case and a subsequent investigation into a meth farm outside of Chicago and the massive use of drugs among the urban poor evolves into the story of Martina Saginor, a physicist who worked with other women scientists to split the atom at Vienna’s Institute for Radiation Research. With the Nazi takeover of Austria, women and Jews lost their positions ensuring Martina’s disappearance into the slave labour system. As Paretsky acknowledges in her historical note, Martina is loosely based on a real woman, Marietta Blau, whose work in physics was so groundbreaking that Nobel laureates in physics nominated her for the Prize. Despite its prominence in the early chapters, Critical Mass is not about Warshawski tackling the drug culture. The key to the mystery is her investigation into Martin’s disappearance, which leads her to unravel a complicated family history, something original to the Warshawski novels, that starts with Martina Saginor, the mother of Kitty and the great-grandmother of Martin who has inherited her scientific genes. Lotty is able to assist her with her childhood memories of Martina who stimulated her imagination into the mysteries of science. But Martina’s passion for physics had the opposite effect on her needy daughter, Kitty, who felt her mother’s obsession rendered her physically and emotionally absent at a time when Jews lived in constricted circumstances after the Anschluss. Years later, Kitty in turn was unable to give much to her own daughter, Judy, which contributed to her daughter’s drug dependency, and Kitty did everything she could to discourage her grandson’s scientific aspirations because of her profound hostility toward science. Lotty’s memories go only so far into explaining the mystery of Martina. Like Paretsky’s previous novels in which its historical dimension was largely invoked through Warshawski’s research and memories of the characters, Critical Mass relies on library research to unearth vital documents and the recollections of elderly characters. But the past—both in Europe and post-war America—is also vividly recreated through set pieces in memorable standalone chapters. Its effect is that the reader knows more than the private eye, or at least before she does. Although she makes some astute guesses, V. I. cannot be certain of everything, and this is new territory in a Warshawski novel. Some of the most bracing chapters focus on post-war America. Did Martina survive the war and if so why does she remain in hiding? Was the father of Kitty really Benjamin Dzornen, Martina’s thesis adviser at the Vienna Radium Institute, and later a distinguished Gentile Nobel-winning scientist who worked on the Manhattan Project? Why was there a falling out between Benjamin and his teenage son who suddenly dropped out of school and retreated into a reclusive, unproductive life? Has a former Nazi transformed herself into an anti-nuclear activist by writing letters to scientific journals? Based on her own research (that she acknowledges in her historical note), Paretsky does reveal that Nazi zealots, refashioning themselves as anti-Communists, were given greater acceptance in scientific circles than any survivor of the Gulag who was suspiciously regarded as a Communist. How all of this relates to Martin’s disappearance is something to which I must return. Martin works for Cordell Breen, who inherited Metargon from his father who developed a design that made possible the early computer research and the later applications that turned the company into an international player. Breen believes that Martin has gone AWOL and absconded with the initial research design and is willing to put his substantial resources, including support from Homeland Security, to track his whereabouts. Martin does not help them by “going dark,” forgoing all cell phone or computer use. We initially are led to believe that Breen is fearful that Martin might sell the design to international rivals but the more we learn about Martin, this rationale does not seem likely. Also, given the extreme measures to which Breen or his underlings resort, we and Warshawski begin to suspect that he is desperate to protect a dark secret that could seriously jeopardize the company’s reputation and profits, one which leads us back to an earlier period, to that of Cordell’s father, Edward Breen, Benjamin Dzornen and Martina Saginor – and to a satisfying conclusion. 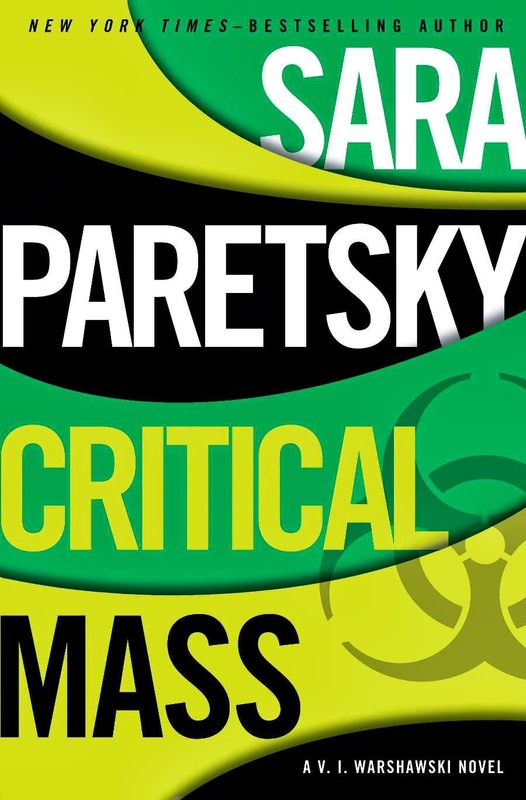 If the reader can accept that Paretsky’s novels can be read as concentric circles, I suggest that they become a vehicle for investigating the troubling and complex political problems, economic inequities and social injustices that bedevil America. 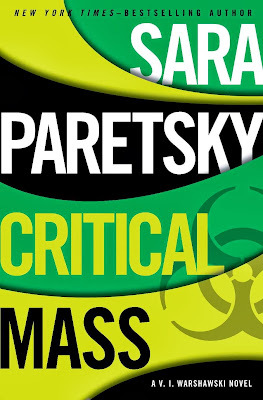 In Critical Mass, Paretsky has taken her writing to a new and richer level and has raised the bar for the crime novel. Paretsky once said that she cannot write about anything unless it captures her passion. Passion, not polemics, is the defining signature of her works as she generally succeeds at dramatizing politics as embodied in the lives of human beings caught up in events. She knows how to write a powerful story with compelling characters, especially those that reappear throughout the series, and that gift attracts readers to her books. It is the issues that carry contemporary and historical resonance, however, that remain indelibly in the mind afterwards.